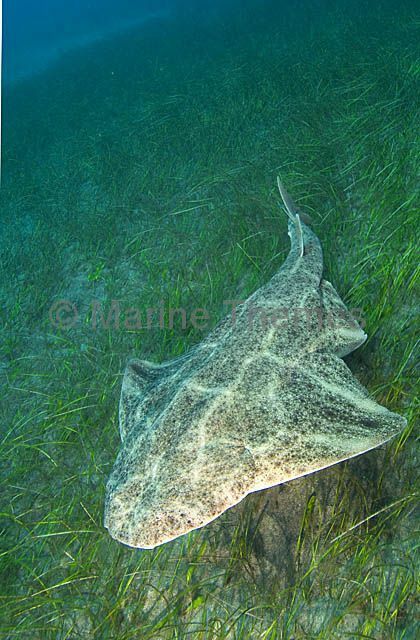 Common Angel Shark (Squatina squatina) swimming over temperate rocky reef. 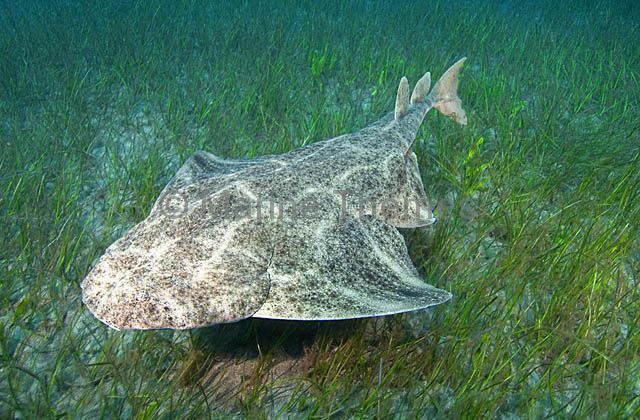 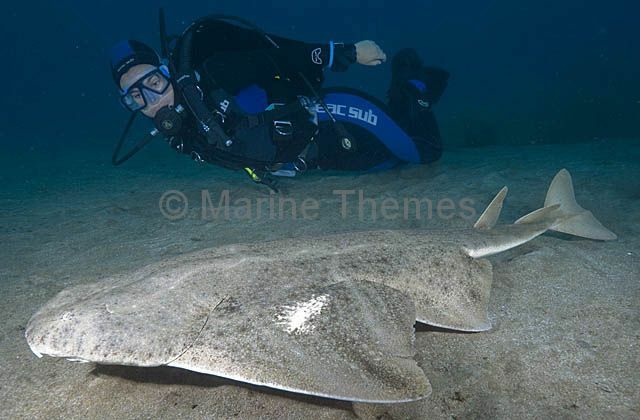 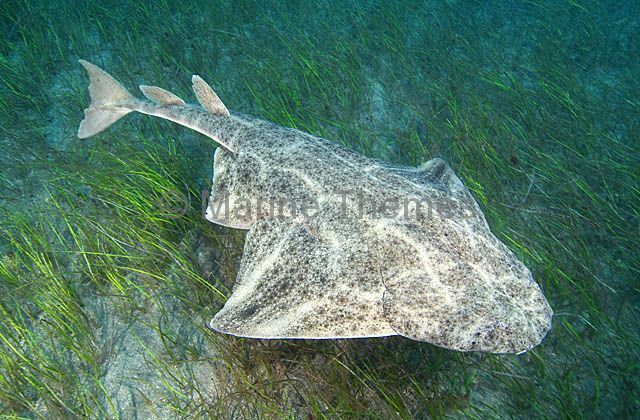 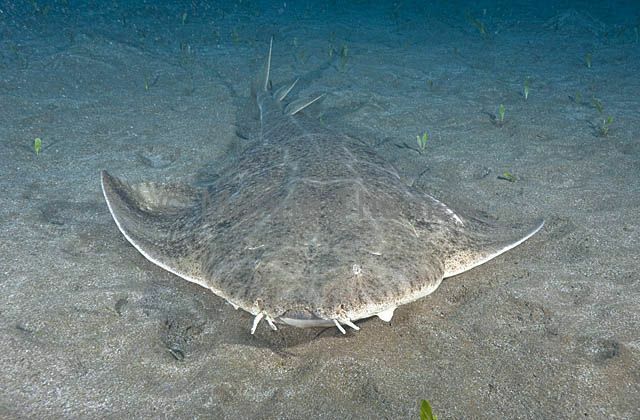 Common Angel Shark (Squatina squatina) swimming over sea grass. 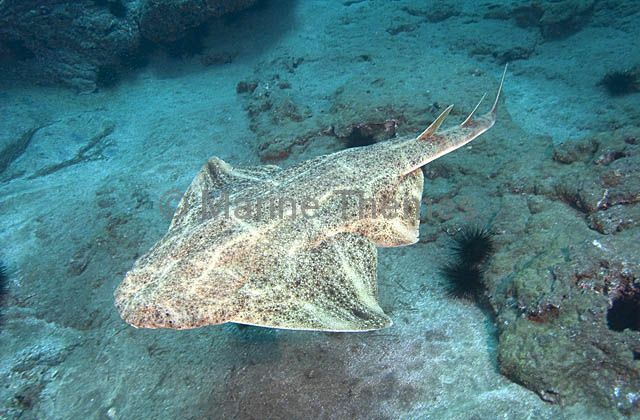 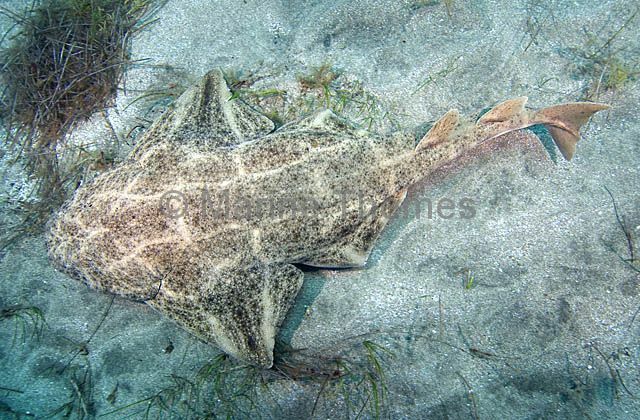 Common Angel Shark (Squatina squatina) Dorsal view.